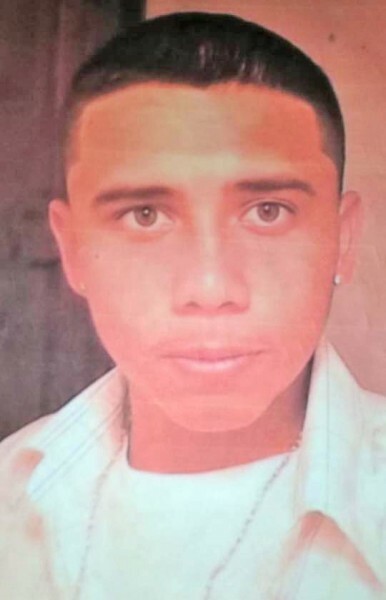 San Pedro Police and family members continue the search for 23-year-old island resident Miguel Arroyo, after the fisherman went missing from his home on Monday, September 10th. Up to press time, his whereabouts remain unknown, and his family and police are seeking the public’s assistance in locating Arroyo. Anyone with information can contact the police station on Pescador Drive by calling 206-2022 or the nearest police station. Arroyo’s disappearance was reported on the afternoon of September 10th by concerned relatives. An official stated that Arroyo left home to go to a nearby store, but never made it back home. He is of Hispanic descent, 5 feet and 7 inches tall, slim-built, with green eyes, black hair and a mole under his right eye. The report further states that he was last seen wearing a white t-shirt, grey ¾ Dickies pants, and red and white Jordan slippers. Family members have placed messages on social media in hopes that it could lead to his return home. They gave a further description of Arroyo, stating that was also wearing a silver chain with a silver cross and a white g-shock watch. Additionally, he has his name tattooed on his left arm and a scorpion tattooed on his neck. Relatives also described Arroyo as someone who would not just disappear without notice. They described him as a good person with a good heart. While his family is praying for his return home, they fear he might be hurt or dead. Police on the island have been actively searching for him. The officer in Charge of the Coastal Executive Unit Superintendent Reymundo Reyes said that on Wednesday, September 18th, they received a tip about a body in northern Ambergris Caye. However, after thoroughly combing the area, they did not find anything. “We have not found anybody at this time, but our search continues all around the island,” Reyes said. Police disregarded rumors that a backpack was found in an isolated area north of town. Reyes added that police are seeking one person of interest, who may have information about what happened to Arroyo. He shared that unconfirmed reports are that, Arroyo had a confrontation with another gentleman on Saturday, September 8th. Witnesses stated that after the misunderstanding with the other person, Arroyo was threatened. Police hope to find Arroyo, and they ask the island community to inform them if they see or have information about Arroyo’s whereabouts. All tips will be treated with the highest confidentiality.